I like The Walking Dead (insofar as I can watch it for free and on my own time on Netflix and not have to pay for cable). Like any story, in this an imaginative world is created in which certain rules apply. In The Walking Dead those rules involve creatures that are dead, but not dead. They will eat you, but are slow. They are stupid, but deadly. There are ways that someone can become one of these creatures and the rules for infection are clear and consistent. At the same time, aspects of the natural order are in place with which we can identify. Gravity pulls things down. Gasoline explodes. People bleed. Within that world, are placed genuine human beings. The value and fascination of fantasy or science fiction is the ability to place real people in contrived situations to see what that might reveal about human strength and character, weakness and brokenness. Within those worlds, we expect and accept oddities of nature. But we expect the humans to be real. It was therefore with some dismay in The Walking Dead that I watched Rick and his crew walking so hopefully and trustingly into The Sanctuary having had such a wretched time in Woodbury. It was too much for me to imagine that real people would be so gullible a second time. I can take zombies, but I expect gravity to always pull downward and for the people to be believable. 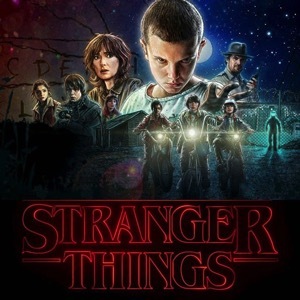 Recently many of my most trusted friends have been raving about Stranger Things, a Netflix Original production set in a fictional small town in 1983. It has inklings of Stephen King and ET and Goonies all working around the search for a boy who has disappeared. I have seen 6 of the 8 episodes, and risking minor plot spoilers, I must confess that my disappointment in the show has to do with what feels like unreal human decision making and actions. In saying this, I mean no disrespect to my dear friends, and perhaps I’m missing something important. Perhaps we simply have different tolerances for the suspension of disbelief. This one crosses mine. I can accept monsters from other dimensions. I can accept the idea of telekinesis and telepathy. I can even accept, if pushed, that a 12 year old boy is able to keep a homeless girl hidden in the basement of his house for a week without his family having any clue of her presence. It is harder to accept that chief of police Jim Hopper would actually CHOOSE to break into the national laboratory, AND that he would be successful, AND that he would get out alive. Even harder is to believe that Nancy, a teenaged girl, in the dark and misty woods where a dying deer has just mysteriously disappeared into a creepy, gooey hole in a tree, would without her friend Jonathan by her side, crawl into the creepy, gooey hole in the tree in the dark and misty woods. Sorry. A real person would not do that. I will finish the show. I love mystery and I love the people who have loved this show. I want to find out how it ends (hoping that in fact it DOES end after the eighth episode). But I’m saddened when creative people are careless with the rules which make their characters real.